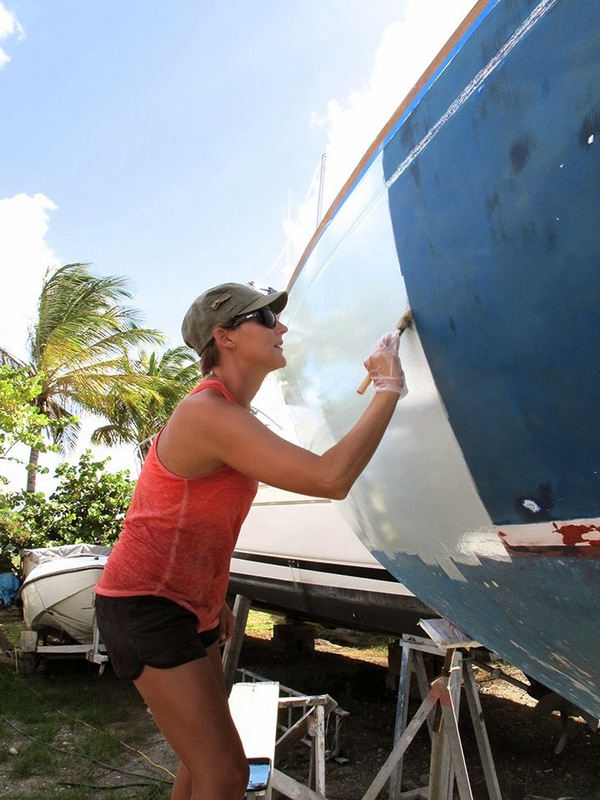 We decided to paint the hull ourselves after getting a quote of $3000 to get it sprayed with Awl Grip. We didn't think it would be all that hard, we'd both painted many things so how hard would it really be? We decided to roll and tip it, watched a few YouTube videos, and gave it a go! It was really pretty easy. The trick is to get the consistency right and to keep moving fast so that the edge always stays wet. The tipping part is like magic! After you drag the brush (very lightly) across the rolled paint, it turns smooth as glass (if you have the right consistency/it's not too hot/windy/humid/etc.) We bought a primer to put underneath, but after getting all set up and then opening it, we realized it was the wrong thing. We decided to skip it and just go straight to the Easypoxy (maybe you shouldn't do this, but it went on great and had no problem adhering so we were happy). 1) When doing the bottom job, did you sand/ strip the previous paint or just coat over? 2) Did you use a nautical/ marine paint? Thanks Alex! The boat had many many coats of old bottom paint on it so we sanded a few coats back to try and get a uniform surface to work with. And to get any barnacles and flaking bits off. Then we did 2 coats of marine bottom paint. 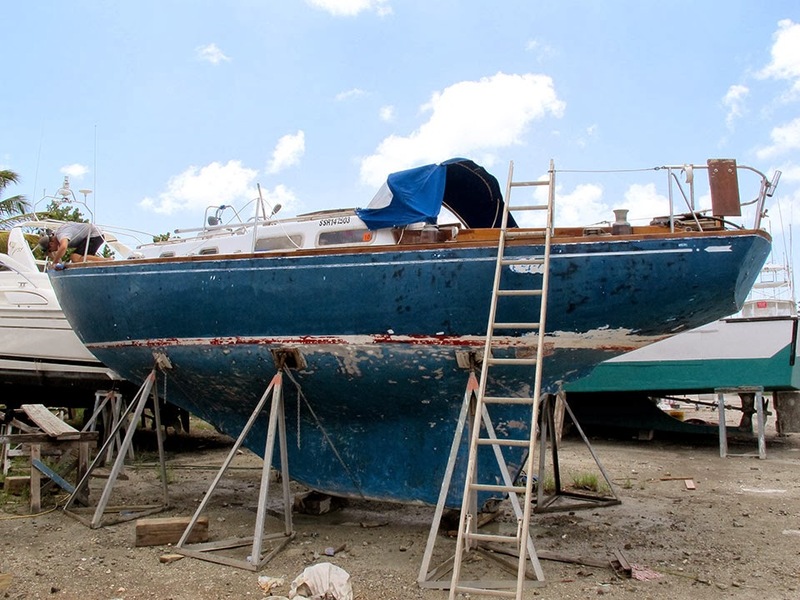 We used Sea Hawk Islands 44 antifouling. It's very expensive, but very very important! Good luck! And remember to do it right before you go back in. You don't want the bottom paint to be exposed to sunlight for a long time, we did ours a few days before splashing. Just wondering - how long did supplies cost? Tried commenting twice.. Haha not sure if it came through! I meant how much! Ha! We spent about $140 on supplies. Not bad at all! How long did it take to sand/prep the bottom, and the top? Did you just use an orbital sander? What is "Awl Grip"? Thanks! Your site is amazing, inspiring and so well done! I LOVE IT! 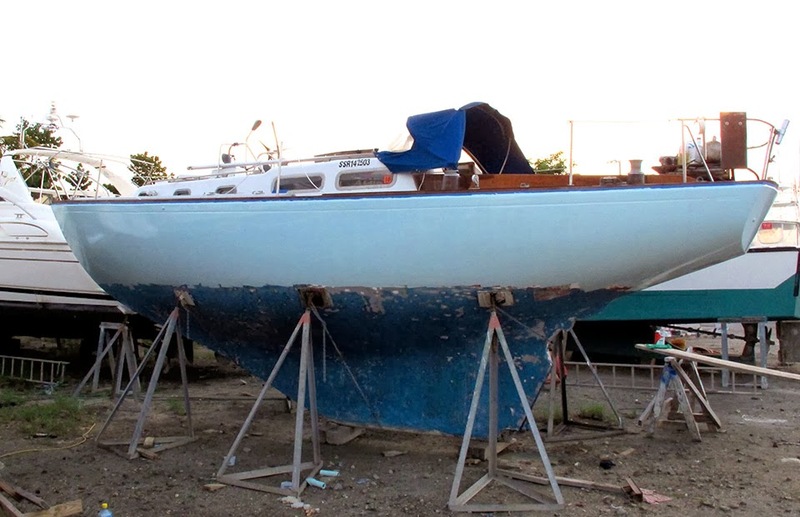 Getting ready to paint a 25 'coronado soon. Hope it comes out as good as yours. I am lucky as I have a shop bid enough to put boat in to paint. 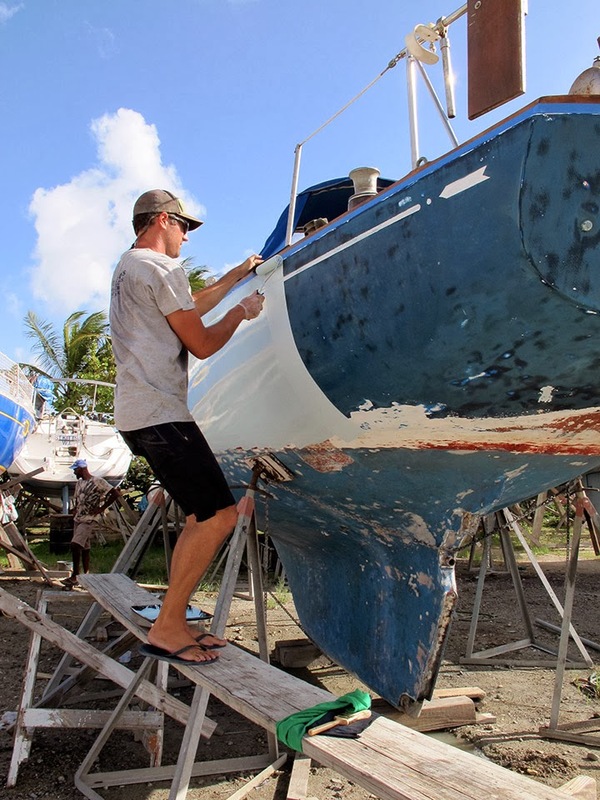 Hi, it's been a couple of seasons now, how is the paint job holding up, I'm about to do the same to my boat, I have sanded down to the same blue you have and was going to go blue again but would prefer white... Is it still looking good? Thought we would say hi because we also sail a Luders. 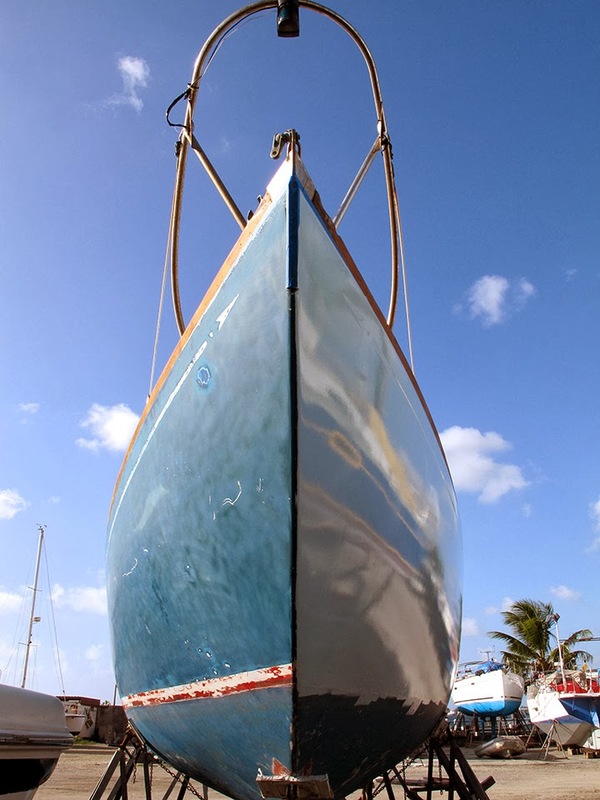 You have a great boat and you have done it up beautifully.